Two people have been injured in a five-car collision in Doncaster. The incident happened at around 2pm today on Bawtry Road at the junction with Middlefield Road, in Bessacarr. 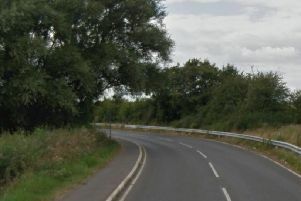 Two people are reported to have suffered injuries in the crash however they are not believed to be serious. Travel South Yorkshire said they services 21, 25, 29,98 and 99 were diverted in both ways in Bessacarr due to the crash. Services were diverted through Ellers Road and Stoops Lane in and out of Doncaster. The road was closed while emergency services dealt with the incident, however it has now reopened.